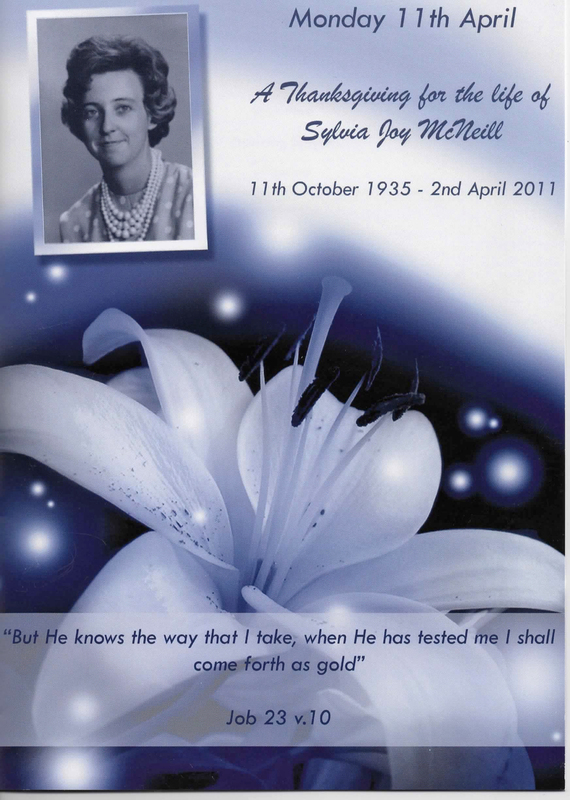 Around 50 people gathered at Parkside today to say farewell to our good friend Sylvia McNeill who passed away on April 2nd following a long illness. David Sampson welcomed those attending and invited David Angell to open the service with prayer. David prayed and warmly gave thanks for Sylvia’s life, emphasising her personal faith in the Lord. He also touched on the fact that today’s service was a joyful occasion as she was now free from all her suffering and with Christ, which is far better. The opening hymn was ‘When peace like a river’. 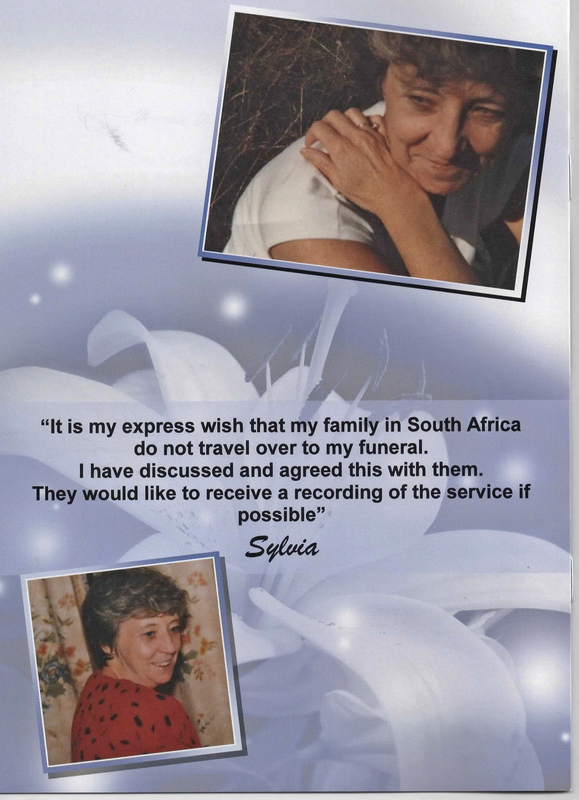 Following the hymn, David Sims read through various tributes to Sylvia, the first being from Sylvia’s sister and brother-in-law which included happy memories of Sylvia both growing up and latterly of regular visits to South Africa. The second appreciation was from David’s sister-in-law which brought out Sylvia’s friendliness, fondness for shopping and prowess as a dressmaker. The third appreciation was from Angela Cox who mentioned Sylvia’s various skills including her needlework and knitting at the Ladies Missionary Fellowship, her enjoyment of shopping and her companionship and help both to Angela and all at Parkside. The fourth appreciation that David read was from Elizabeth Pearce who talked about various happy holidays that she had spent with Sylvia including Scotland, Florida and South Africa. David’s final appreciation was a personal one and brought out something of his fondness of her voice, the exceptional skills in her working life and the joy of her personal salvation in 1979. David then passed over to Philip Stanfield who gave a moving tribute about their fondness for Sylvia as a surrogate grandmother to the family. He also talked about her willingness to work quietly, behind the scenes, for the Lord as well as various personal reminiscences. Finally, Philip read a personal tribute from Rachel Simms which brought out a little of the sad decline in health experienced by Sylvia in recent years and the fact that she is now with her Lord. The second hymn was ‘When the trumpet of the Lord shall sound‘. David Sampson gave a short address which talked about Sylvia’s life and faith in the Lord Jesus mentioning Job 23, including verse 10 featured on the Order of Service. David introduced the final hymn ‘God sent His Son – they call Him Jesus‘ before Philip Stanfield gave a short and moving closing prayer. A short committal then took place at Braywick Cemetery, led by Victor Michael. 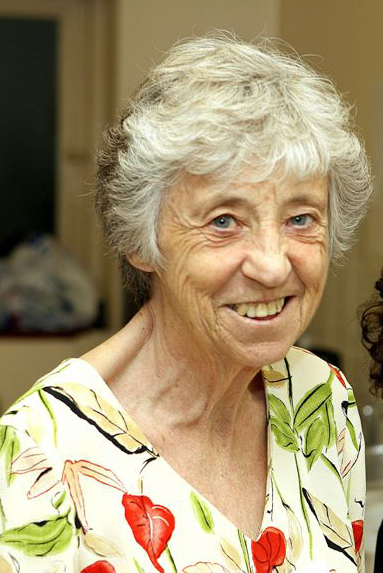 Sylvia was much-loved by all those who knew her, both at Parkside and beyond. We are all thankful that her time of suffering is now at an end and she is with her Lord and Saviour.